After the winter break through Christmas and New Years, it was time to go racing again! 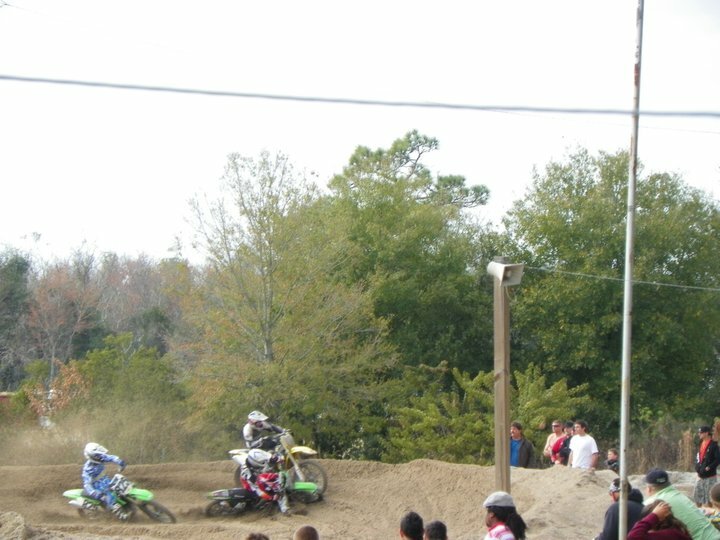 What a fantastic crowd for the first round of the South Florida MX series. 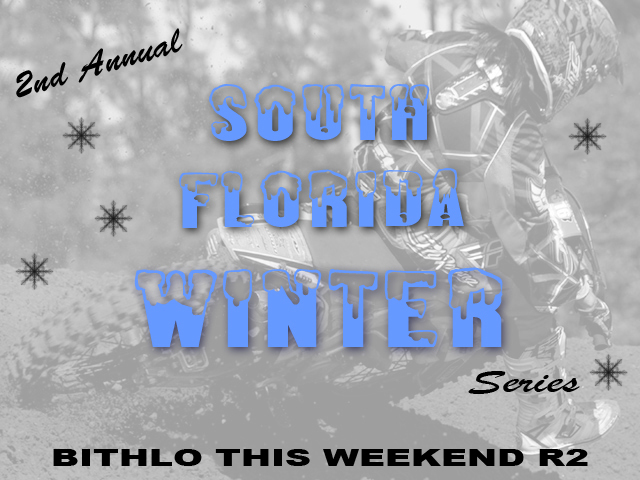 It all kicked off with the 450 D class and Kyle Smorenburg on top form after putting in his time with DustmxAcademy he was able to take two first place finishes and muscle the 450 to both holeshots on his first race on the big bike. Second place went to Peter Sorensen who had to fight his way into second after some bad starts, his smooth and consistent riding gave him 2-2 finishes not bad for his first race appearance ever. This was good for DustmxAcademy taking the top 2 positions, it would have been the top 3, though Kyle Bangerter deciding to step up to the C class as he won the series last year. Kyle Smorenburg would also sweep the 250 D class with his first ever 1-1 1-1 for both classes, look out for this guy in the future. 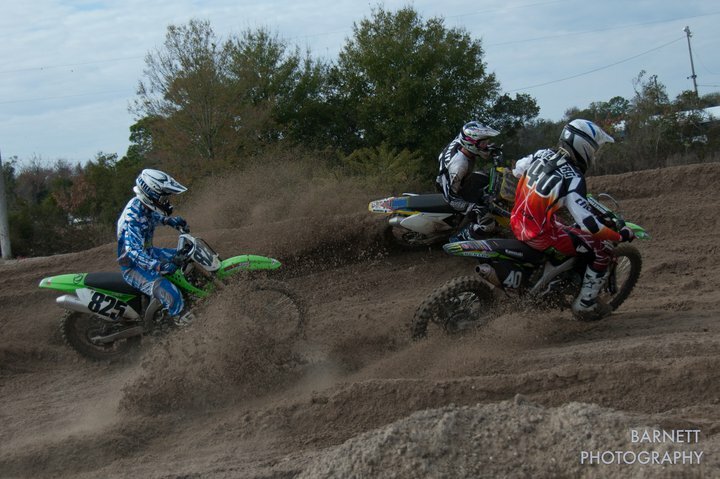 This class had some of the best racing though the day. Ck Douglas in the first moto was able to get out front put in some really fast laps and even pull away from the a riders that were mixed in that class. However behind him Dustin Jensen, Jonathan Cloutier and Taylor Ditzian were all charging hard to get the 2nd place finish, Cloutier just recently getting a 250f and struggling with the lack of power but he made up for it with his determination getting 3rd place finish. Ditzian still getting back to fitness from his injury finished 3rd overall with 4-3 scores. 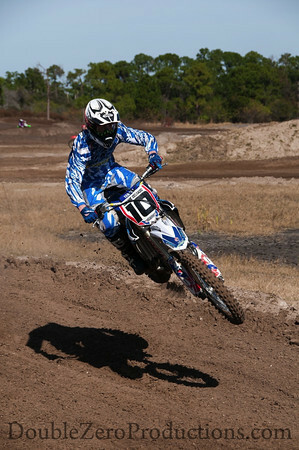 Dustin Jensen pulled one out the bag in moto two taking the win and overall ahead of Douglas. Donnie Delgado back on track, nice to see him out there and looking solid and fit! 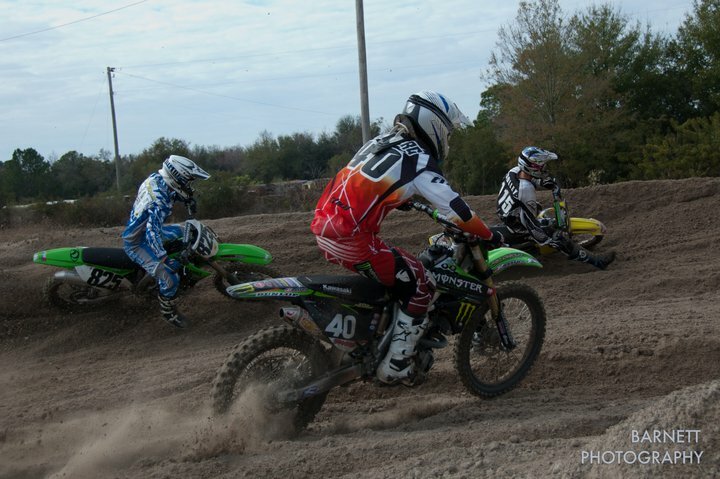 After just losing out on the plus 40 class to Mike Mezie in the last moto, it was on. He shot out to an early lead, however, the pressure was not coming from Mezie it was from Brinsley Dyess who seems to really be enjoying the 250f suzuki, Delgado put down some real fast laps and was not able to shake off Brinsley. Delgado, though unfazed by the pressure, kept strong and was able to pull a comfortable gap, by the end of the race he would go 1-1, Mike Mezie strong 2-2 and Steve Rejda a 3-3. The women’s class was Brinsley Dyess 1-1, and Brooke Couch 2-2. 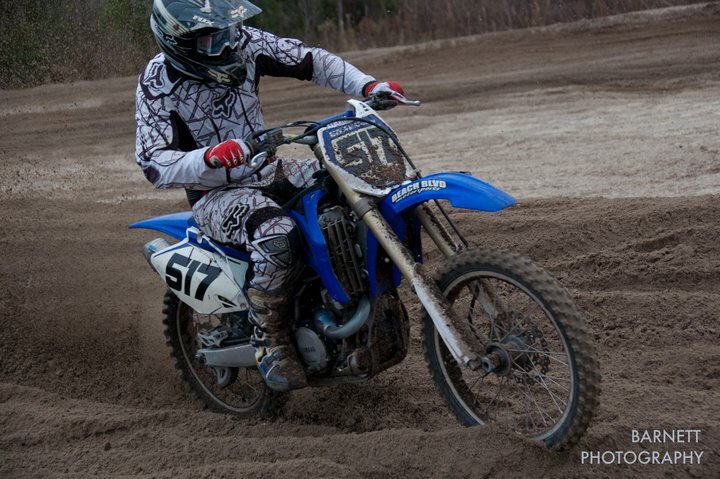 Kyle Bangerter From DustmxAcademy took on the decision to step up to the C class after winning the 450 D last season. So his main goal for the season is to gain experience, finish races, and never give up. He came out strong to finish 11th. Jason Gillespie stood out from the rest as he rode with a new-found confidence winning the first moto in great style. In the second moto Robert Vogel had other ideas and stamped his authority with the win he would go 2-1 for first overall followed by Jason Gillespie with 1-2 score. Chris Lacroix was third and Tharsis Andrade pushed hard into 4th place. Dennis Bourque was back in action after an injury. The smooth riding honda pilot got out with the holeshot, he would sprint for two laps and have a look back, Dave Rafferty was not letting go, Bourque would give the lead to Rafferty. Rafferty was all business with an error by Bourque, Rafferty grabbed the moto 1 win. Moto 2 saw Bourque holeshot again, this time Brett Cormier would be on his tail pushing hard. Rafferty went down on lap one and was able to pull through to 3rd for second overall with a 1-3, Bourque was your winner 2-1 and Cormier third 3-2. 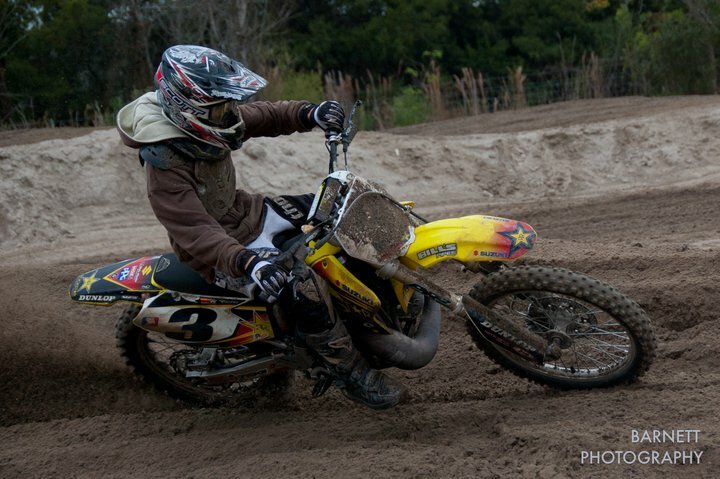 DustmxAcademy rider Peter Sorensen was able to miss a first turn crash. In moto 1 he would ride very consistent laps and come away with 1st. Jerry Ciccone would pick himself up charge to 2nd place and Dean Trapp in 3rd. So it all went down to moto 2, Dean Trapp would get out front early, Jerry Ciccone and Mark Churchwell were also up front Peter Sorensen was recovering from a fumble into turn 1, Ciccone would make a pass then Sorrensen would follow, those two would work their way to the front with Ciccone taking the win and overall 2-1 Sorensen 1-2 and Trapp 3-3. 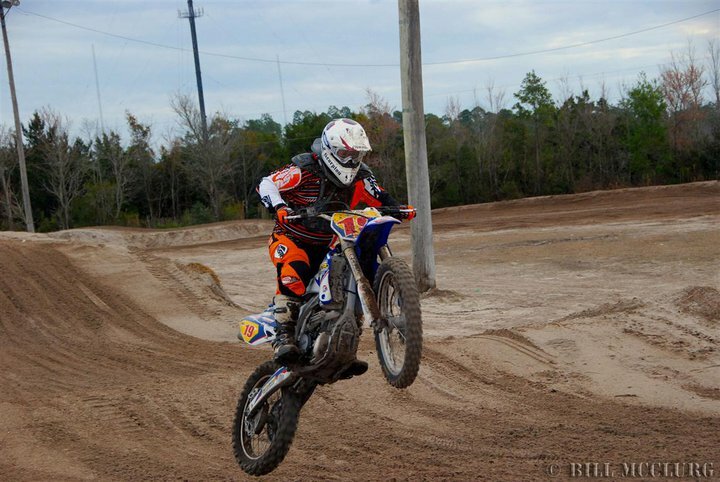 Derek Hall who came out of nowhere, showed up and borrowed Donnie Delgado’s bike. 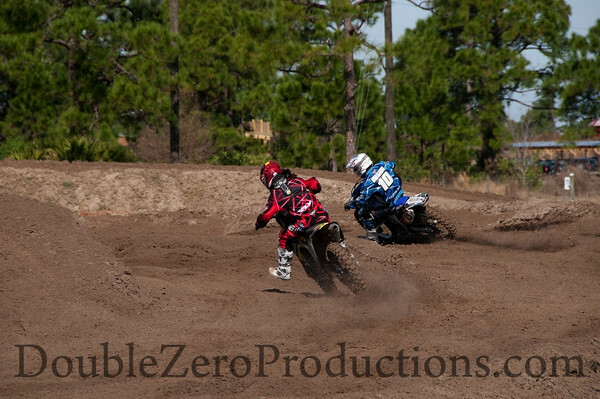 He smoked the holeshot from the outside! He would lead the first few laps followed by Donald Solley and Zack Freeberg giving chase, Hall’s fitness not up to par from being out for so long and Freeberg turning lap times that are fit for nationals. He made his way to the front. Solley would pass Hall, but Hall stuck on his back wheel, relaxed himself and found an extra wind he would pass Solley with all that going on, Freeberg who had pulled a big lead managed to disappear, bike failure! So Derek Hall, after all the laps were counted, pulled one out the bag to show everyone his ability for the win. Solley was second and Brandon Westberry third. Thank you Dustin for allowing DZP to share your article! CLICK HERE TO SEE BANQUET PICTURES FROM DADE CITY’S AWARDS GALLERY! Thank you to Sendi Goss for spending her entire weekend taking pictures! Click each link below. There are two sets of pictures! Photos taken by DZP (Shelley Walker), and a second set of photos taken by Rand Franklin. Enjoy!